Santa Cruz, get ready! On Thursday, October 12th, TGR is returning to the Rio Theatre for the winter kick-off party of the year. 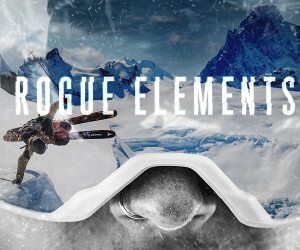 Join us for a one-night only premiere of our new feature length ski and snowboard film, Rogue Elements, presented by REI. There will be a ton of prizes from our partners at REI, Atomic, Volkl, CEP, TGR and more, plus everyone in attendance will have a shot at the tour grand prizes - including one of THREE trips this year: to our hometown Jackson Hole, to Crested Butte, CO or to Ski City (Salt Lake City) including a VIP tour of the High West distillery. Plus, each of the trips comes with a $500 REI gift card so you can gear up beforehand from a huge selection of skis, boots and more. Don't miss your chance to see Rogue Elements on the big screen. About the film: In the winter of 2017, the magnitude of winter's force was on full display. Telephone pole-snapping storms pounded the Wyoming landscape. Regions to the west, recently left arid and forgotten, were gifted with unprecedented accumulation. Blizzards in Europe buried towns in an instant before disappearing just as fast, leaving the lucky few who were there to wonder if it even happened. A Bolivian expedition found grace above 18,000 feet before the elements went rogue and the humans reluctantly heeded warnings from above. Join the TGR team as they embark on an adventure filled with fury and glory, and witness the unimaginable. Rogue Elements, presented by REI, features Angel Collinson, Jeremy Jones, Ian McIntosh, Elyse Saugstad, Tim Durtschi, Dash Longe, Nick McNutt, Hadley Hammer, Johnny Collinson, Thayne Rich, Sammy Carlson, Dane Tudor, Clayton Villa, Cam Riley, Sean Jordan, Griffin Post, Sam Smoothy, and Sammy Luebke.